Mercedes-Benz GLC Coupé Review 2019 | What Car? After BMW divided opinion, but found success, with its X6 and X4 SUV coupés, Mercedes has decided to get in on the act. 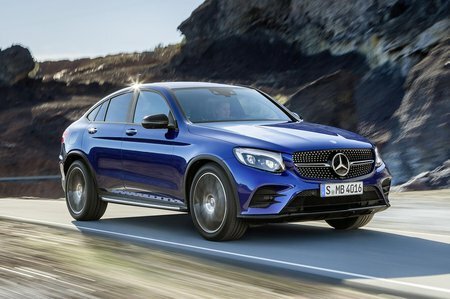 First the company launched a sleeker version of the large GLE, and now this, its smaller GLC Coupé. Underneath it's based on the firm's C-Class saloon, and shares much of its front end with its more traditional SUV stablemate, the GLC. However, the Coupé is actually lower, slightly longer and gets a more raked rear roofline for an injection of style. The aforementioned X4 is the closest rival for the new GLC Coupé, but Mercedes also has one eye on the similarly-priced Porsche Macan. Read on over the next few pages to see how it stacks up against the competition, and also to find out which trims and engines we favour.